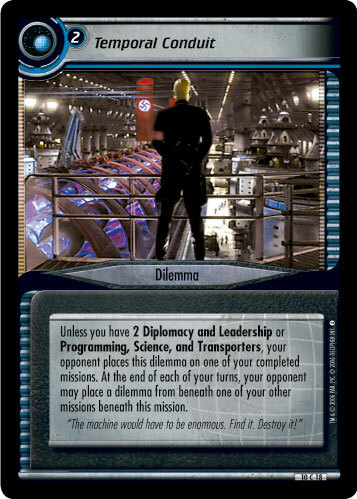 Unless you have Astrometrics, Navigation, and Cunning>30 or total ship's attributes>21, place this dilemma on your ship and all your personnel are stopped. 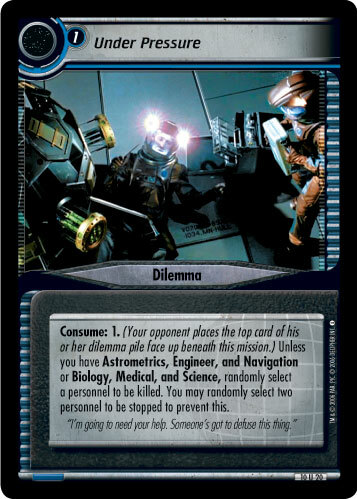 Damage - At the start of each of your turns, choose an opponent. 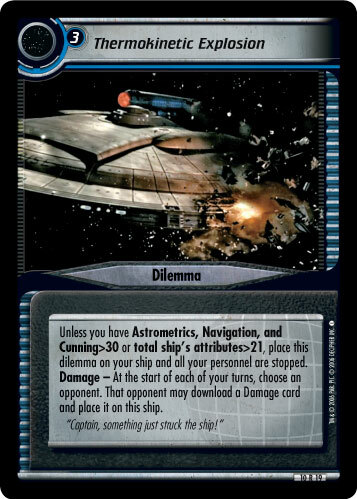 That opponent may download a Damage card and place it on this ship. "Captain, something just struck the ship!"